A U.S.-based reader recently emailed me a series of recruiting and lifestyle questions about international consulting. It’s a great topic that hasn’t been addressed here before. Today, we’ll avoid the standard “10 key points about international consulting” post, and instead directly address his questions since they are both thorough and interesting. 1. Is the interview process to work abroad as competitive as that in the United States? Yes. Sometimes it can be even more so. This will depend heavily on the specific office to which you’re applying. For instance, you can expect an extremely selective resume screening process in China. In some Continental European offices, the resume screen (for on-campus recruiting) is somewhat more forgiving, but it’s tough to pass the initial phone screen. Another factor is broader macroeconomic conditions. The Middle East as a region has been known for explosive growth in consulting work, and as a result it’s been a somewhat easier process to get hired there if you meet the necessary prerequisites. Keep in mind that the current recession economy has dramatically altered the hiring landscape, although some are predicting that the hiring market has reached a bottom. 2. How can U.S. applicants be more competitive if they want to work in overseas offices like Berlin or Johannesburg? -Make the right contacts here in the U.S.. This is a combination of networking with the right people at every opportunity, plus a proactive search for U.S. consultants who have prior experience in your country of interest. Not only can you learn more about the international consulting environment, they may be able to introduce you to the right overseas office contacts. 3. Can you work in the U.S. and move abroad? Absolutely. This is in fact the smartest strategy unless you have a unarguable reason for starting or transitioning your career to overseas. Most people who have a “casual interest” in international consulting are best suited to working in the U.S. initially, getting staffed on an overseas project or two, and then making the transition. You may find after serving your first Russian client that living in St. Petersburg is not for you. -Network with international consultants. This is relatively simple once you’re inside the firm. Start with lower level consultants and work your way up. Demonstrate an interest in their work by doing your research. -Build relevant expertise. For instance, if you’re interested in consulting in Tokyo, figure out what types of work your firm does in Tokyo. If it’s mostly automotive consulting, staff yourself on automotive industry projects in the U.S.. This will give you a head start. 1. What are the benefits/perks of working abroad (eg, housing, salary, etc)? The benefits will be broadly similar to U.S. consulting perks. You’ll have expense accounts, travel in style, attend fancy team and firm events, and the like. However, your base pay and bonuses will probably be lower (on the order of 10-20%). You may receive fewer perks. For instance, most McKinsey Asia offices do not provide blackberries to junior consultants (you’ll have to hit Engagement Manager before receiving one). If you’re an international hire (eg, moving from the U.S. to Sao Paulo), you may receive some added relocation benefits including temporary housing and a higher relocation bonus. Beyond that, you’ll be treated just like a local consulting hire. 2. Can you describe the lifestyle working abroad (eg, hours, social life, etc)? Again, it really depends on the office and the country. You can expect to work harder in East Asia (eg, China, Japan, Korea) and enjoy a shorter workday in Latin and Central America (eg, Brazil, Argentina, Mexico). In terms of social life, it’s all what you make of it. You can expect a standard amount of after-hours socializing with colleagues and project teams. In addition, there will be the usual litany of office and team events such as dinners, conferences, and retreats. There are important cultural issues that are specific to each office and country. For instance, you can’t legally buy alcohol in Saudi Arabia. Do your research thoroughly before applying internationally or even attempting to be staffed overseas. 1. Does the work differ from consulting in the States? Do you get more responsibilities or less? Consulting abroad can be divided into 2 general categories – consulting in developed countries (eg, Western Europe, Japan) and consulting in emerging economies (eg, Vietnam, Czech Republic). In developed countries, the work you do will be very similar to consulting in the U.S. Variables include the mix of clients and industries in the target country, as well as your firm’s local reputation and areas of strength. In emerging economies, the work will be different for several reasons. -More interaction with client senior management -More interaction with partners and principals -More work on high-urgency/high-impact problems -Faster implementation of recommendations. That wraps up our tour of international consulting from a U.S. perspective. Do you have any more questions about consulting abroad? Ask them below and I’ll update the article! Let’s face it – management consulting is an enticing career. However, the recruiting, networking, and interview cycle can be a nightmare; it doesn’t end there. 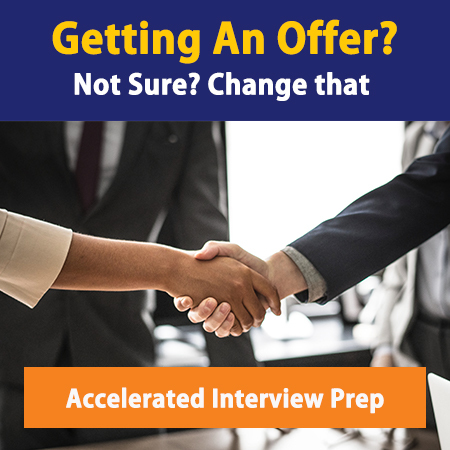 Once you receive the offer, it doesn’t wind down, you are expected to ramp up to fulfill the potential you’ve shown your interviewer (read more about case interviews here). How do you succeed? Our 3 Month Mastery sets you up for success by giving you insider do and don’t as well as tips on how to stand out by being the best!